The color of your skin is determined by the number of activated melanocytes it has. Light skinned people have few activated melanocytes, whereas darker skinned people have more. Normally, melanocytes will distribute melanin (pigment/color) evenly throughout the skin giving you a uniform skin tone throughout your entire body. Sometimes, however, melanin is deposited unevenly and results in brown, tan or ash colored areas. This uneven distribution of color is referred to as “skin pigmentation”, which may be subdivided into either hyperpigmentation (parts of your skin get darker) or hypopigmentation (parts of your skin get lighter). Pigmentation problems result in an abnormal darkening or lightening of the skin. 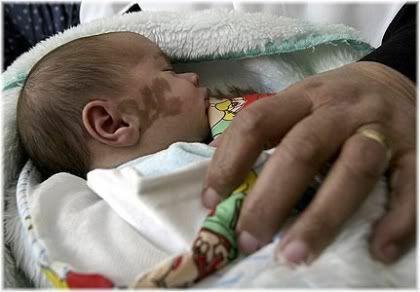 Birthmark: Localized patch of discoloration. Macular Stains: Flat red mark. Hemangioma: Red mark caused by blood vessels. 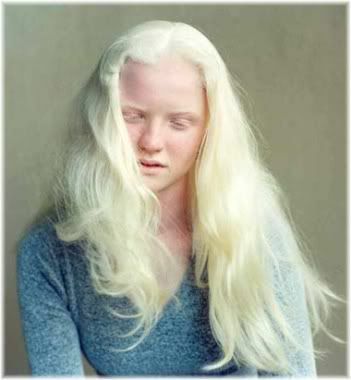 Albinism: No pigmentation due to the absence of melanin. 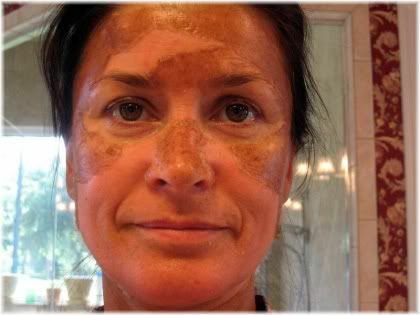 Melasma/Chloasma: Tan/brown colored patches on the face. 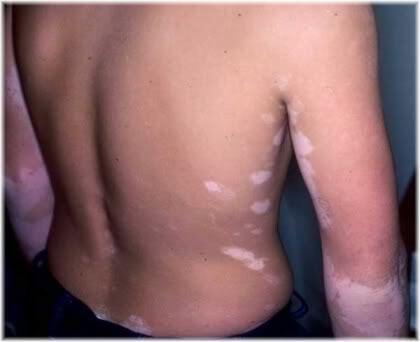 Vitiligo: White patches of skin. Skin pigmentation can occur on any area of the body, and although it does not pose a serious health problem, it does pose a cosmetic problem because pigmentation irregularities can look unattractive. Skin that is pigmented in such a manner can broadly be divided into either brown pigmentation which comes from melanocytes, or red pigmentation which comes from blood vessels. Spending too much time in the sun can lead to the most common type of pigmentation disorder, freckles and moles. Later in life, over exposure to the ultraviolet (UV) rays of the sun can show up as age spots or liver spots. Some ingredients in skincare products and cosmetics can increase the skin’s sensitivity to sunlight, thereby making you more vulnerable to developing a pigmentation disorder. Such ingredients tend to be citric based such as extracts of oranges or lemons, or a derivative of vitamin A such as Retin-A. Treating the skin with a laser, whether it be to remove hair or to resurface the skin, can make your skin more sensitive to the sun (photosensitivity). 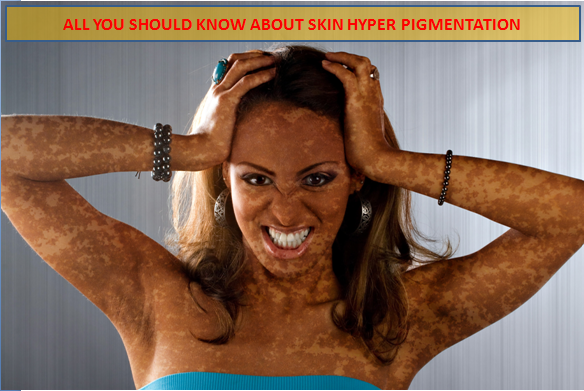 This then increases the risk of you burning and damaging your skin, and a result, developing irregular pigmentation. Lasers can also burn the skin if they are used incorrectly, which in itself can cause pigmentation problems. 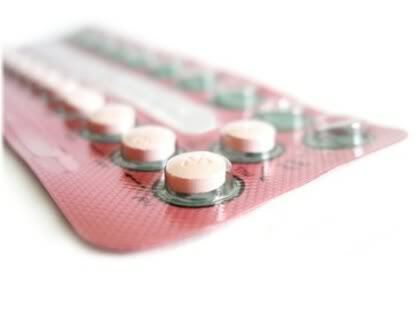 Birth control pills interfere with the hormones in your body. Sometimes, this can cause irregular pigmentation after you have been using those pills for a certain amount of time. The same can also occur with birth control patches or injected contraceptive preparations. During pregnancy, some women develop a type of pigmentation known as a pregnancy mask (chloasma) that appears as brown spots on the face. Usually however, this discoloration will eventually fade as hormones return back to their normal levels. 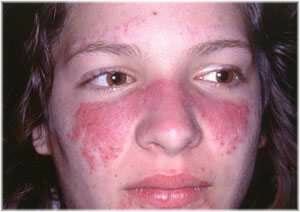 Lupus is an autoimmune disorder that can cause hyperpigmentation. 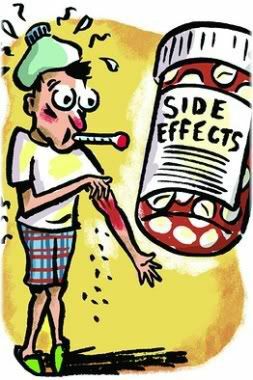 Some medications, such as steroids, can cause pigmented skin. This will usually come in the form of freckles. If you are taking any form of medication and are worried about pigmentation problems, then it is worth speaking with your doctor to see if this could be a possible side effect. 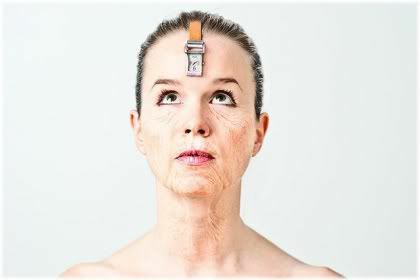 As you age, the chances of developing pigmented skin increase. Part of this is due to the natural aging process, but most of the time it will occur as a result of unprotected sun exposure when you were younger. Birthmarks are a natural type of pigmentation and are something that you are born with. Some birthmarks will naturally fade over time, whilst others won’t and will require treatment with a skin lightening product. A mole is a small area of hyperpigmented skin. You can be born with moles or they can appear as you age. In order to remove a mole, it must be done surgically. This is usually carried out for cosmetic reasons, but in some cases, it may be removed if the mole starts to grow because this can signal skin cancer. Skin tags (acrochordons) are irregular growths that hang off from the skin’s surface. Although skin tags are harmless, they may pose a cosmetic problem for some and so can be surgically removed if desired. Skin tags can also be removed by tying a thread around the base of the skin tag. 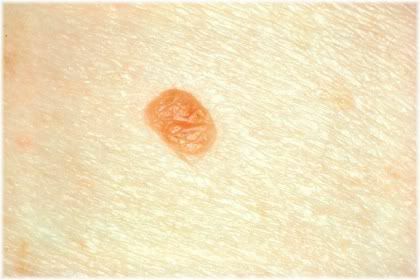 This cuts off blood circulation to the skin, eventually causing the skin tag to harden and fall away. 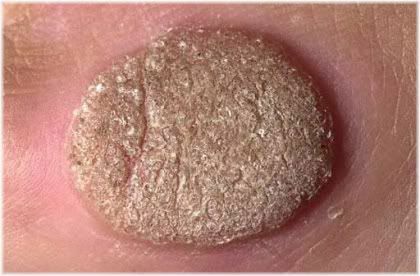 Warts are areas of raised pigmentation that can be either light or dark. The best way to remove warts is surgically, or alternatively, by applying salicylic acid once or twice a day. Unlike hyperpigmentation which results in excess melanin production, hypopigmentation occurs when normal melanin production is inhibited or impaired. 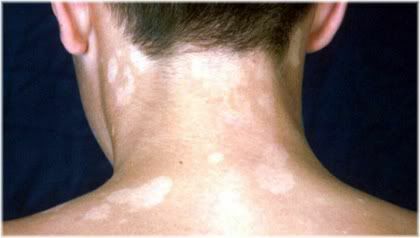 Leucoderma, also known as vitiligo, is characterized by localized areas of depigmentation. This may be caused by an immune system disorder in which the immune system attacks and destroys melanin. Albinism is an extreme form of hypopigmentation where a person has no color in their skin or hair. This, however, is a rare and inherited disorder, which means that your skin won’t just suddenly lose all of it’s color unless you were born genetically predisposed to having the condition. Skin can change to a pink, brown or white color as a result of a harmless fungal infection. Wounding of the skin (e.g., cut, burn, infection) stimulates a natural inflammatory response. In rare cases, this can trigger a reduction in the production of melanin and cause a lightening effect in the wounded area. There are two main approaches that can be taken to lighten pigmented skin. 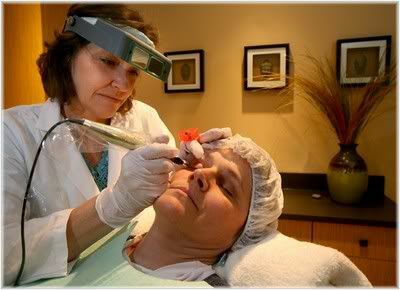 One approach involves using a non-surgical technique such as laser skin resurfacing. This, however, tends to be quite expensive and will leave the treated area permanently sensitive to sunlight. A more common approach to treating pigmented skin is with skin whitening or lightening creams. These tend to be relatively inexpensive, but you will probably have to try many different variants before you find one that produces satisfactory results. Whilst exfoliating your skin won’t lighten it, exfoliation can help to increase the effectiveness of any lightening products you use by removing dead layers of skin, dirt and sebum (oil) which may be clogging your pores. This then allows the cream or lightening agent which you are using to penetrate further down into the skin. Microdermabrasion involves mechanically exfoliating your skin by blasting very fine mineral crystals onto its surface. Although this tends to be used more often for treating fine lines and wrinkles, in some cases, it can be helpful for reducing the appearance of light discoloration such as age spots (aka liver spots) caused by sun exposure. Microdermabrasion won’t permanently lighten the skin, however, so you are likely to need repeated treatments every few months to maintain your results. Also, this treatment is unlikely to remove all pigment. So your hyperpigmentation will just appear lighter and not completely disappear. Like regular exfoliation though, microdermabrasion can help to increase the effectiveness of other skin lightening treatments by allowing them to penetrate deeper into the skin. Chemical peels are another type of exfoliant. This can involve the use of alpha hydroxy acids, a Jessner’s peel, a TCA peel or a croton oil/phenol peel. The more discoloration you have, the stronger a chemical peel you are likely to need to see noticeable results. For very light discolorations, you may experience success with topically applied lemon juice as vitamin c has a skin lightening effect. Lemon juice also contains alpha hydroxy acids which have an exfoliating effect. An alternative to lemon juice is to make your own vitamin c solution. A simple recipe to create a 5% vitamin c solution is 1/2 teaspoon of ascorbic acid powder mixed in 50ml of warm water. This should be kept in the fridge in a dark glass spray bottle, and applied twice daily to hyperpigmented areas. Results can be seen from 3-4 months onward. Be warned though, this is a slow process with lightening occurring over many months. So you need to be both persistent and patient. 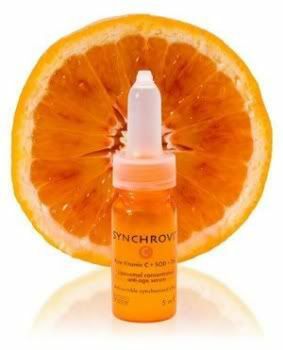 For darker discolorations, stronger peels such as a TCA peel can be used. These can be found quite easily on eBay or Amazon. But for stronger peels, such as a croton oil peel, you will need to see a professional dermatologist as these can be both dangerous and damaging to the skin if used incorrectly. 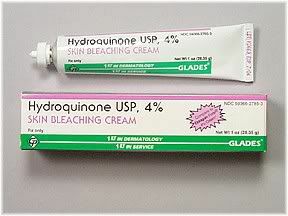 Hydroquinone is a very popular and effective skin lightening agent. It works by decreasing the production of melanin thereby lightening dark areas over time. However, due to concerns about the toxicity and side effects of hydroquinone, it has been banned in some countries and so you may not be able to get it depending on where you live. In such cases, you might need to search Google for online pharmacies that will ship hydroquinone to your country. High doses of hydroquinone (above 4%) may result in stretch marks, acne, hyperpigmentation, burns and scars. Internally, it may also cause kidney failure, diabetes and cancer. I have used hydroquinone before and did not experience any adverse symptoms, but I found that it didn’t lighten all areas of the skin. Some patches still remained pigmented. Herbal skin lighteners can include various natural ingredients such as licorice, raspberry, bearberry, kiwi, mulberry and grape seed extract. How effective such products are, will largely depend on the extent of your discoloration. 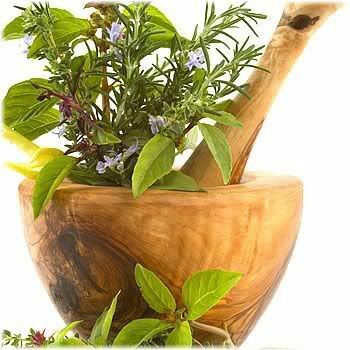 Generally, herbal based lighteners are most effective for light pigmentation problems. Such formulations are usually marketed as a safer alternative to hydroquinone based products, and so can be found quite readily on eBay. I have not found such products to be very effective unfortunately. In Asian countries, turmeric powder mixed with water into a paste is often used for lightening dark Asian skin. Although this can be effective, it’s very messy as turmeric easily stains clothing and bathroom surfaces. If you have very dark areas of pigmentation, then you may find that you need something stronger. 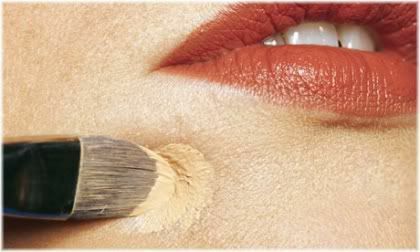 Concealer make up, or camouflage concealer, will not reverse discoloration. It can, however, temporarily conceal it so that others won’t notice. Concealer makeup is most useful for people who have pigmentation problems on their face, or would like to conceal their pigmentation while they are treating it and waiting for it to fade away. Aside from the fact that this method is only a temporary measure, there is always the worry when wearing concealer camouflage for hyperpigmentation that it will rub or wash off. This could then leave you in a potentially embarrassing situation, so you have to be extra cautious if you choose to go down this route. 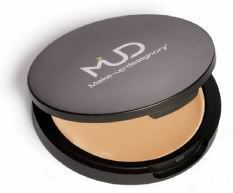 Light diffusing foundation can help to reduce the appearance of discolored skin by making it less visible. It does this by changing how light reflects off the skin, which then creates the illusion of a slightly different skin color. Of course, like concealer makeup this won’t reverse a pigmentation problem, and it’s only really useful for very light discolorations. For dark patches of hyperpigmentation, using light diffusing foundation is unlikely to have any significant lightening effect. Laser skin resurfacing can either be very effective or not work at all. For this reason, before undergoing any treatment it’s recommended that you ask your surgeon to carry out a test patch. This way, you will be able to see if you respond well to the treatment, and if not, you can then save yourself needlessly wasting money. 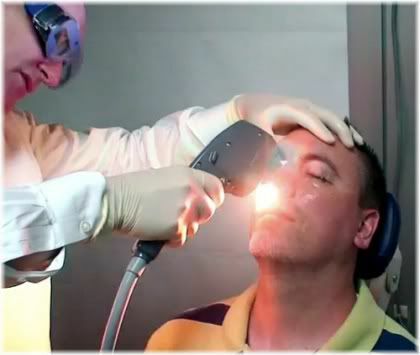 The most common laser used for skin lightening is known as a Yag laser. This laser has different strengths, and you will start with a lower strength and progress to higher strengths with each subsequent treatment. The higher settings are more painful and more effective. But they also carry the risk of scarring the skin and causing hypopigmentation, which is why you are always treated at the lower settings first. Treatments are generally spaced out at 2-3 month intervals. This time allows the skin to heal and for you to assess how successful the treatment was. I have had laser skin lightening done on numerous occasions. The pain isn’t too bad if you focus on the potential results you could obtain. 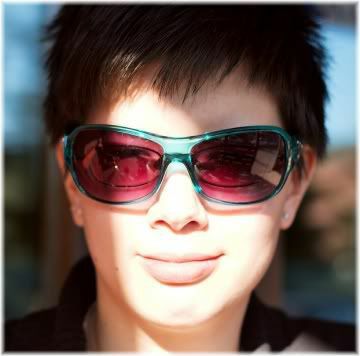 In my case, I had areas of pigmentation that were resistant to the laser. So whilst some areas lightened, others did not. 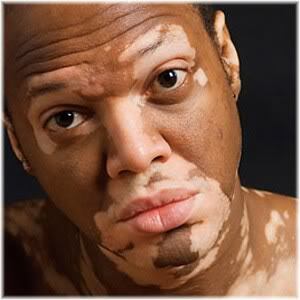 I was also left with hypopigmentation in areas where there was hyperpigmentation. So instead of having a brown patch of skin, I was left with a white patch of skin that was lighter than the surrounding skin. 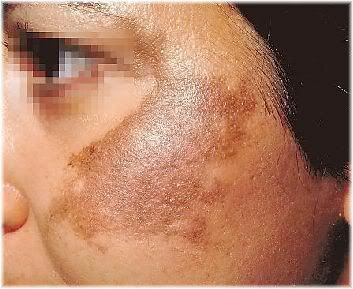 In such cases, areas of hypopigmentation caused by laser skin lightening can be treated with a relatively new treatment called Recell. This basically uses your own skin cells to “paint” hypopigmented areas. Supposedly, it can also be used for hyperpigmentation. I am currently awaiting Recell treatment. With these new cells, the treated area develops a normal skin color in about 6-8 months. But this treatment is very expensive and can range from $6000+ depending on the size of area being treated. 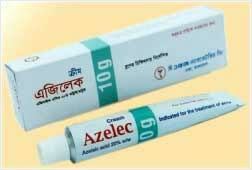 Azelaic acid inhibits melanin production and is also effective against acne. Usually, it will take several months before you start to see any results. This is most suitable for light discolorations, and probably best used in conjunction with other treatments. 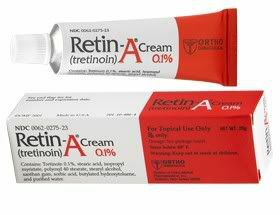 Retin-A can be an effective treatment for lightly discolored skin (e.g., age spots), and it works even better when combined with hydroquinone or azelaic acid. This is because it causes the skin to renew itself more frequently, which can result in pigmentation being pushed up to the surface and eventually removed as dead skin. When used with other treatments, such as hydroquinone, Retin-A also has the effect of increasing penetration so that the hydroquinone can target deeper regions of the skin. If you opt for this treatment, remember to protect treated areas with sunscreen. As otherwise, it may revert back to its previous color. Skin bleaching creams/lightening creams work by inhibiting the formation of melanin. It takes about 24 days to see a change, and most people experience very good results. But if you expose your skin to the sun unprotected, then it may change color again. 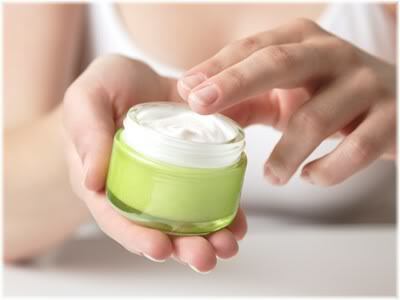 There are also some risks that you should be aware of when using a lightening cream. These include: permanent hypopigmentation (white spots), thinning skin, an uneven loss of color resulting in patchy looking appearance, redness and irritation. Some common ingredients found in bleaching products include: hydroquinone, arbutin, kojic acid, azelaic acid, vitamin c, cinnamomum subavenium, alpha hydroxy acids and niacinamide. Not an ideal option, but I thought I might add it to the list as it can be a suitable treatment for some people. Basically this involves surgically removing (i.e., cutting out) your hyperpigmented skin. This will remove the pigment, but you will be left with a scar instead. For some people, they may find the idea of having a scar less of an issue than having discolored skin. If the scar bothers you, you may be able to virtually completely remove the scar by having Recell treatment.